Preston is a beautiful farming community 20 minutes south of Ulverstone on the gorgeous North-West coast of Tasmania. In our community our farmers grow a variety of produce and are not always rewarded with the price they deserve for the premium product they produce. 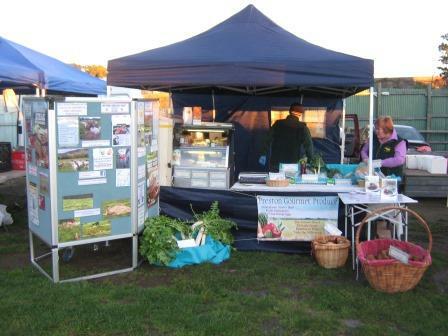 Preston Gourmet Produce was formed in June 2013 with a view to offerring farm fresh produce direct to customers. Over time we have developed out business venture to provide mainly quality meat - Dexter beef, free range pork and Wiltshire lambs at a number of farmers markets. We are now concentrating our efforts on selling our wonderful produce at the Burnie Farmers Market and Cradle Coast Farmers Markets in Ulverstone on the 1st and 3rd Saturday and Sunday of the month. This lets have continuity of supply to our customers and a reliability which customers are able to trust that we will be there every time. 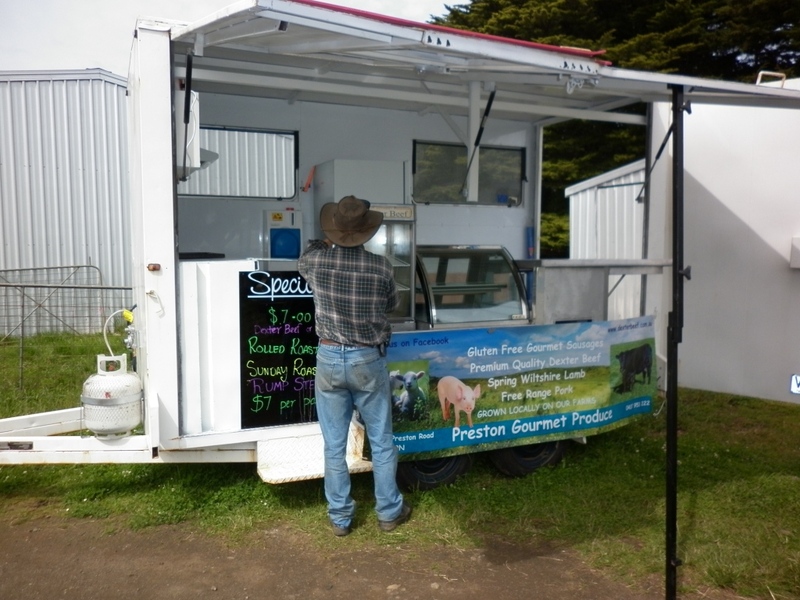 We have also expanded the business to selling cooked Dexter Beef products at the Cradle Coast Farmers Market on Sundays, including Dexter Steak Sandwiches, Gourmet 100% Dexter Beef Sausages, Roast Dexter Beef and gravy rolls and hopefully in the future a Dexter beef dish served with rice. Our mobile food van which is licenced in the Central Coast Council but can travel anywhere in the state, this means we will be available to cater at functions, please contact us for availability of dates. The new food van which is available for catering at functions.